Full day enjoy the train journey, Our tour Manager will look after you throughout the journey. After breakfast visit Simla local sightseeing. Lunch at Hotel, After Lunch Visit Khufri & Fagu, Dinner and Over Night Stay at Hotel. After breakfast check out form Hotel and proceed to Manali by Car or Coach (10 hours journey), lunch on the way. Arrive Manali in the Evening and Transfer to Hotel, Dinner and Over Night Stay. After breakfast departure for Rohtang Pass Back to Hotel, Lunch on the way. Afternoon free for Leisure & shopping, Dinner and Overnight stay at hotel of Manali. After breakfast leave for Manikaran. On the way visit Kullu and other local sightseeing. Lunch on the way.Return back to Hotel.Dinner follows. Overnight stay at hotel. Full day enjoy the Train journey. Arrive at Howrah with happy sweet Memory of the trip. Dharamshala : Dharamshala recognised as headquarters of Kangra District, Dharamsala stands at the foot of Dhauladhar and has a magnificent view of snowy peaks, deodar and pine forests, tea gardens and beautiful hills.The snow line is perhaps more easily accessible at Dharamsala than any other hill station in India. Dharamsala now really has become international Dharamsala is divided into two distinct parts : lower Dharamsala the civil and business area with Courts and Kotwali bazaar and upper Dharamsala composed of places like Mcleod Ganj and Forsyth Ganj, Dharamsala offers two very beautiful lakes around Dharamsala i.e. Dal Lake and Kareri Lake, There is a wildlife sanctuary named Pong Lake Sanctuary near Dharamsala and a mini zoo named Gopalpur Zoo near Dharamsala. Dalhousie : Dalhousie, India is a famous hill station and tourist destination in the Indian state of Himachal Pradesh, the hill station of Dalhousie is full of old world charm and holds lingering echos of the Raj era. It covers an area of 14 sq. km. and is built on five hills - Kathlog, Patreyn, Tehra, Bakrota and Balun. The town's average height is 2036 m, and is surrounded by varied vegetation - pines, deodars, oaks and flowering rhododendron. Dalhousie has charming colonial architecture, including some beautiful churches. 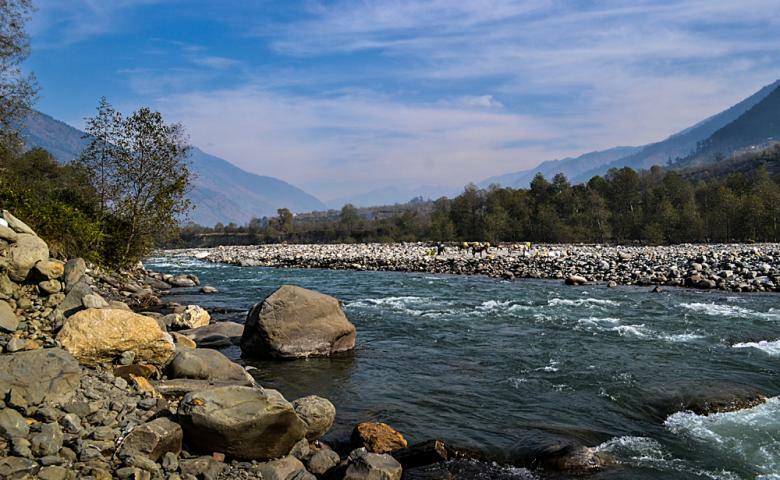 Its location presents panoramic views of the plains and like a long silver line, the river Ravi twists and turns below Dalhousie. 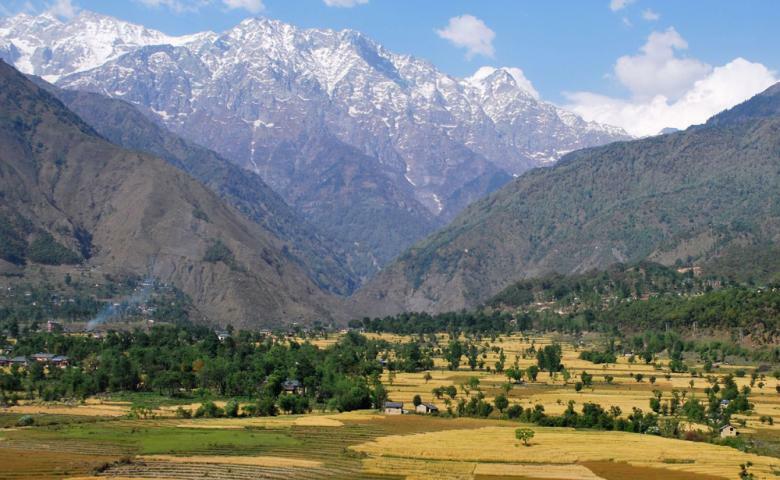 The spectacular snow-covered Dhauladhar mountains are also visible form this enchanting town.